Think about a product that you consistently, and quite happily, pay for. What does it allow you to do? Is there anything about this product that makes you think that you will be better at something? Does it feel like a shortcut to something that you aspire to be? A strong brand story helps you convey the type of value that you are adding for your customers. 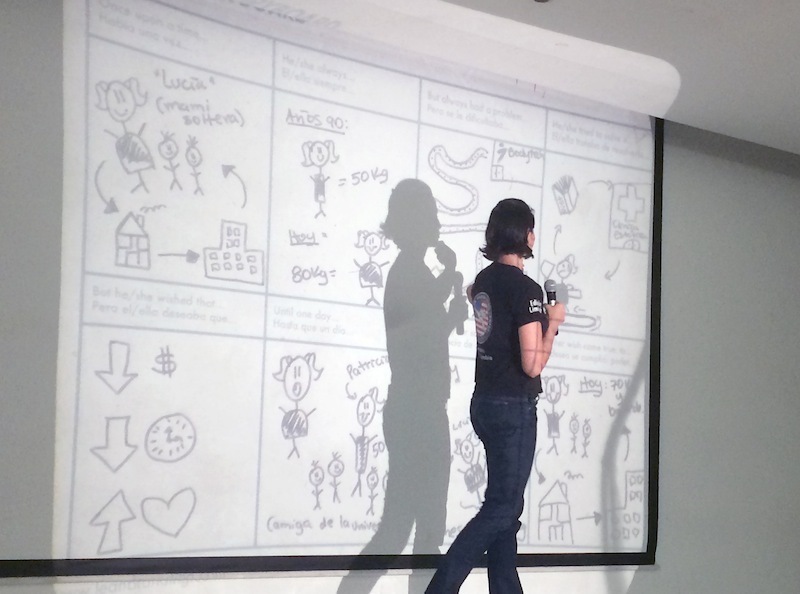 In essence, a brand is nothing more than the story that users recall when they think of you. Because this story is made up by every single touchpoint of our user’s experience, it is our job as designers to arrive at a clear picture of how each scene should unfold. However, while I worked with 90+ tech startup teams from every background imaginable, I noticed that storytelling doesn’t come easy for many of us. 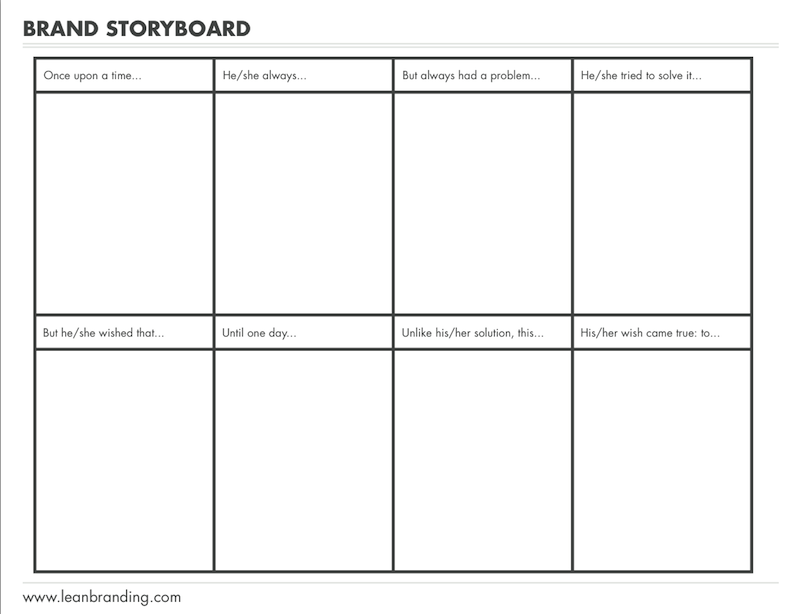 That’s why I designed a simple tool: the Brand Storyboard. Knowing your user will result in a more empathetic design solution. It will also help you determine the ideal audience for any communications efforts related to the product’s growth (think advertising, email, or content campaigns). Knowing what your user is up to daily shows you where this product fits in his/her lifestyle. Understanding your user’s agenda will also bring clarity as to when and where the need for your product is most active, and how your design must adapt to fit a certain time/space. Understanding your users’ pain point/s is crucial to your product’s adoption. As this brand’s story unfolds, you want to emphasize this aspiration whenever you communicate with users. In fact, as you explore the user’s central need, you will find that there are other (less pressing) needs associated with it that your product could also solve eventually. Diagnosing your competitors’ products will allow you to replicate what is working. After all, whichever features your user is currently enjoying become his/her frame of reference to evaluate your product. Knowing which alternate solutions are competing with your product is key to designing a truly differentiated experience. Your competitors’ flaws are areas of opportunity. You can address these existing user concerns to position your brand as the optimal solution. Knowing the different scenarios that may lead someone into trying/buying your product for the first time is crucial. What will trigger your user’s first trial? Take the time to find an answer to this question, and make sure that someone from the marketing team is right next to you when you do. If you learn that users find your product through social channels, for instance, you will want to design a robust integration with social APIs. Although your product might differentiate from competitors’ in several dimensions, try to establish a single, clear factor that will sway users to your side. This core brand promise should be the center of your communications strategy and the cornerstone of your product development efforts. Clearly define the aspiration that your product fulfills. What is your customer’s “wish come true”? Defining what “satisfaction” means for your users will make it easier to provide it for them. Sometimes, even when our product does offer the features that users are looking for, we haven’t clearly articulated how this feature connects with the ultimate aspiration that he/she wants to satisfy. In other words, there’s no success unless you point it out. All human aspirations are opportunities for brands to build relationships.